So, maybe you are tempted by tales of chicken keeping and images of happy chickens clucking around the garden and you are toying with the idea of having a few hens of your own? 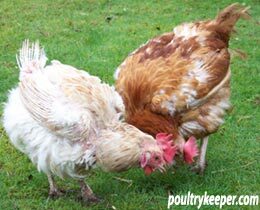 Maybe you’d like to find out where you can find some Ex-Battery Hens to rehome? Well, you’ve come to the right place! Of course, we are all horrified by the media and charity reports about the life of a laying hen in a battery farm, it’s certainly not pleasant reading and I’m sure you have decided that by re-homing some ex-battery hens you can give them a chance to have some quality of life after their ordeal. Apart from the welfare issues, you also have the opportunity to get some delicious free range eggs in the process, as well as doing your bit to help these innocent victims of the intensive farming system. A list of charities is given at the end of this article. They are spread across the UK so chances are you won’t be far from one. The trouble is you have no experience whatsoever of chickens and you have no idea where to start. First things first, you can’t just pick them up at a pet shop so how do you find some ex-battery chickens for sale? As always, the internet is as good a place as any to start. Simply typing ‘Ex Battery Hens For Sale’ into the search engine brings up millions of results to plough through so let me help a little here. There are numerous battery hen re-homing charities who work with the battery farmers to intercept the chickens otherwise destined for slaughter. They also highlight the plight of the battery hen and intensive farming in general as well as raising funds to enable them to help more of the 16 million battery hens in the UK each year. Only a fraction of these hens are currently re-homed and the battery hen charities are crying out for more loving homes to provide these girls with the free range life they deserve. One important point though. I would strongly recommend getting your ex-batts through a registered charity. You could in theory buy them directly from the farmer but some unscrupulous farmers have become wise to the demand for ex-batts as pets and sell them to the public. This means your money goes directly into their pockets and I for one would not be responsible in any small way for funding these battery farms. Any money you donate to charities however, will be invested into the future of rescuing ex-batts, promoting their terrible plight and campaigning for improved conditions for all hens. Plus you will be assured of a healthy hen who has been checked by a vet, who has had her claws trimmed and have the added reassurance of helplines and support should you need any advice. So a no-brainer really, don’t buy direct from the farmer! Before you contact the charities and register your interest to buy ex battery hens there are a few things to consider first. 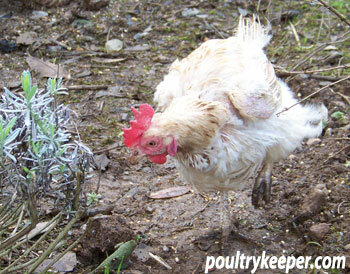 Like all pets, chickens are a commitment and it is your duty to ensure their health, happiness and safety. 1Number: How many chickens do you want? Charities state you must re-home a minimum of 3 chickens as hens are flock creatures and need company. 3 or 4 chickens fit comfortably into a standard coop and provide a ‘standard’ family with more than enough eggs. You don’t need a cockerel for a hen to lay eggs, you only need him if you want to raise chicks. 2Space: Do you have enough space for chickens? They don’t require much room, a small back garden will easily be enough for 3 chickens. But are you going to keep them in the run or let them free range? There isn’t really enough room in the run of standard bought coops for the chickens to truly experience freedom and if you aren’t happy to let them trash you garden (and they will!) a compromise may be an area of garden fenced off for their use. This must have some shade in it, preferably some greenery, somewhere for a dustbath (a flowerpot with compost in will suffice) and be secure. A moveable fence made of chicken wire is a cheap and easy way of keeping your girls and your garden safe. It is also vital to ensure your garden is as safe as it can be from predators. Make sure all fences are secure and hole free to prevent foxes getting in and inquisitive chickens getting out. 3Costs: Unless you are lucky enough to inherit a coop, you will need to buy a secure coop and run for your girls. As always get the best you can afford as it will be built better, be more secure and last longer. A brief internet search showed you can buy a small coop/run for as little as £100 (probably cheaper on ebay or secondhand). Manufacturers are stingy when it comes to room in the coops so buy one that is suitable for more chickens than you intend to have. You also need to consider feed costs (a 20kg bag of Smallholder ex-batt crumb is about £12 and will last 3 girls for many weeks) and buying feeders and drinkers, which are a few pounds each. Bedding is cheaper bought in bales – I use Easibed which is around £6 for a bale and lasts weeks. A very rough estimate for 3 girls, after the set up costs, would be £10 a month. All of these things are available online if you don’t have a farm supplies shop nearby. 4Time: Chickens don’t take up much time, much less than a dog who needs regular walking! However, they do need letting out in the morning, which is OK at 8am in the winter, not so good at 5.30am in the summer. They also need locking up before dusk, which can be 4pm in the winter. If you aren’t at home at this time, will they be in a secure run and safe from predators? Their coops need de-pooing each morning and cleaning out properly once a week. Plus you need to keep food and water topped up daily. You could spend as little as 15 minutes a day caring for your chickens although personally I can happily spend hours! And then an hour once a week to thoroughly clean the coop, feeders etc. 5What if they get ill? Ex-Batts are not unhealthy merely unfit. They can however be prone to certain ex-batt specific ailments (See Common Health Problems of Ex Battery Hens) so once you have acquainted yourselves with the signs of an unwell chicken, find yourself a vet who has a sound knowledge of poultry. By re-homing / finding some ex battery hens for sale through the charities you will saving their lives and providing a wonderful retirement for some very precious ladies. They will provide you with eggs from day one, keep your garden pests at bay, provide you with wonderful manure for your garden and keep you thoroughly entertained with their antics and quirky characters! The largest hen rescue charity in the UK, having re-homed just over 250,000 hens in the 6 years since it’s inception. A group of 25 regional co-ordinators organise the rescuing and re-homing. Donations of £3-£4 per hen are requested. A minimum donation of £3 per hen. Not for profit organisation based in Bedfordshire. Donations of £1.50 per hen are requested. (Hen Rehomers)Nationwide organisation with regional co-ordinators. Previously known as North London Rescue. Donations asked from £2.50 per hen. Covering Lincolnshire, West Norfolk, Cambridgeshire and the East Midlands. A minimum donation of £3 per hen. Small hen re-homing charity based in Norfolk. Little Feathers Hen Rescue (Scotland). Based in Fife in central Scotland. I hope this article has proved a valuable starting point for you if you are considering buying some ex battery chickens. There is a wealth of information available on this site, in particular our Ex Battery Hens FAQs and Tips on Re-Homing Ex Battery Hens articles.